The next morning, Barbie gives her sister a big surprise. Skipper turns on her laptop--and it is completely free of proprietary software! "You are just too cool, Barbie! You are the best sister I can have!" 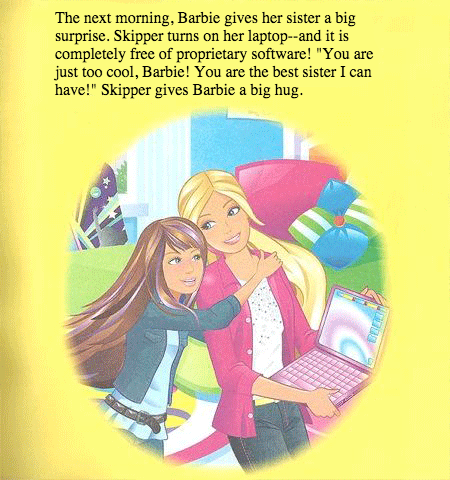 Skipper gives Barbie a big hug.